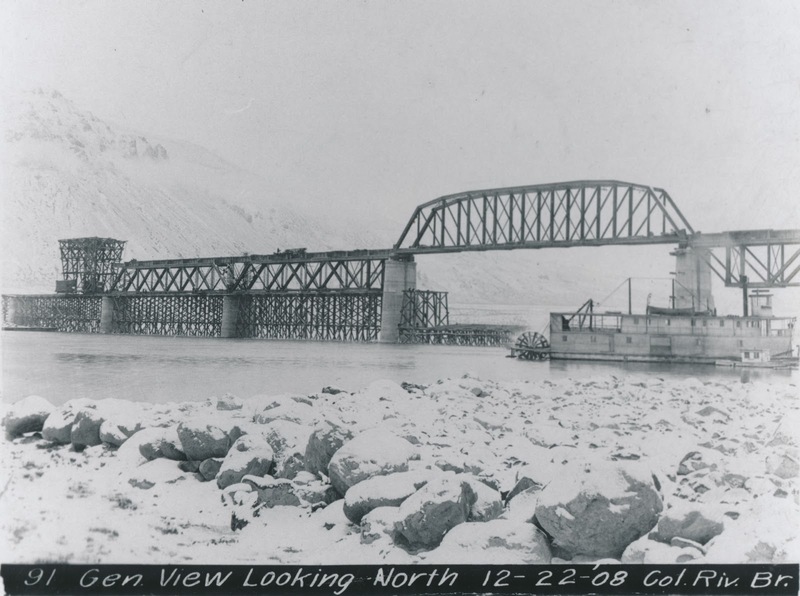 The steamboat St. Paul was used by the railroad to haul bridge building supplies from the Great Northern station upstream at Vulcan to Beverly, where the mile long bridge over the Columbia was being constructed. I liked the reference to Vulcan on the GN, since my brain couldn't pop up a location for that, and neither could Google. But http://www.oldmapsonline.org/ did, and looking at maps there confirmed that there were rapids on the pre-dam Columbia just upstream. That may have been the reason for vulcan's existence, and eventual fading, and not just for construction materials for the Beverly bridge.